/ Modified apr 19, 2017 5:12 a.m. 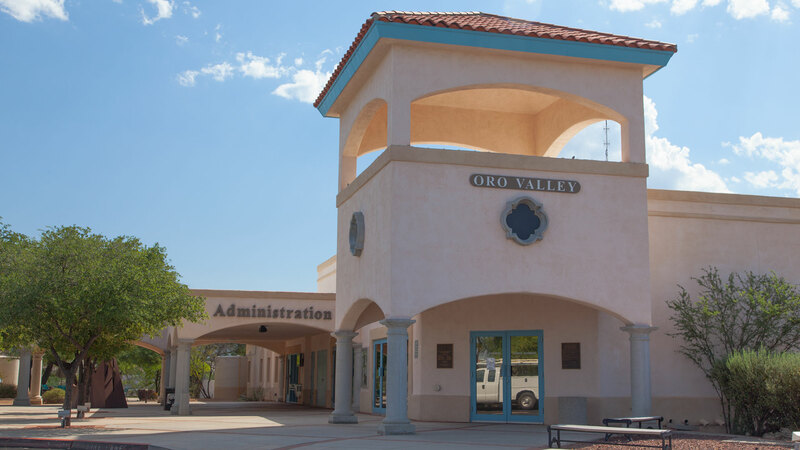 The Oro Valley Town Council on Tuesday will hear from the public on a proposed voter referendum that would raise property taxes in order to pay for the expansion of Naranja Park. Town staff estimate the proposal would raise property taxes by $4.50 a month for an average house in Oro Valley – at an estimated value of around $250,000 - for the next 20 years. The expansion of Naranja Park is being pushed by the Oro Valley Sports Alliance, a group of youth and amateur sports leagues that think there is a shortage of such facilities in the area. The increase in taxes would pay for bonds that cover the $17 million price tag, which would cover construction of three new multi-sport fields; four baseball or softball diamonds; a playground; necessary infrastructure, including bathrooms, lights and parking lots; and a new road connecting Naranja Drive and Tangerine Road alongside the park. The Oro Valley Town Council will hear comments on Wednesday night at 6 p.m. at the council chambers. The comment period may be extended into the next meeting, which takes place May 3. The May 3 meeting is when the council will decide if a voter referendum will appear on the November ballot. Those who cannot attend the meeting can comment by emailing Constituent Services coordinator Jessica Hynd at (jhynd@orovalleyaz.gov) until May 3. MORE: Arizona, Election 2017, Government, News, Oro Valley, Parks, Taxes, U.S.